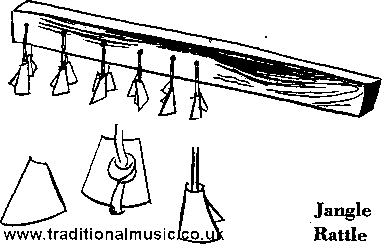 Jangle rattles are also used by the Indians in their dances. the ends of the cords and bend the tin pieces around them. shaken in time with the music.